Find the exact social music lovers to follow and unfollow with our advanced social fan curation system. Easily see how likely fans are to follow you back, how engaged they are with other artists and how influential they are within your genre. Making music whilst keeping your social media accounts live is the toughest part of building a loyal fan base. However with AudioTribe, we provide you with the tools to automate content and engagement so you can focus on making more music. Get more plays. Sell more tickets and merch. AudioTribe is committed to using social media best practices that gives you the highest engagement from your fans, boosting your sales.. Loved by artists all over the world. Over 10,000 artists in 41 countries. No one likes to spend hours trawling through blogs and search results to find the latest news about your favourite bands or artists. With Audiotribe you can discover a whole world of content that will resonate with lovers of music across the globe. 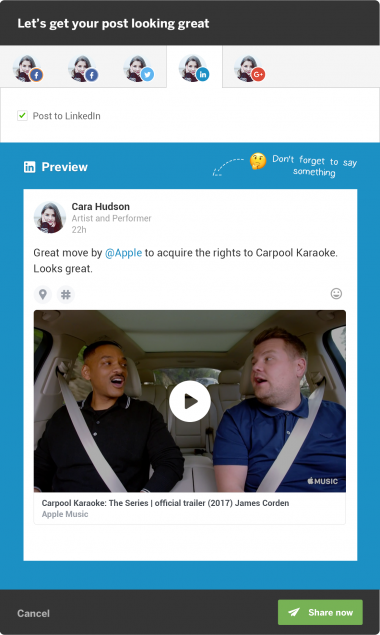 Audio Tribe makes integrating content sources easier than ever with ‘Connected Apps’. 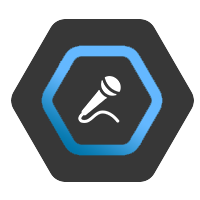 Choose from 100’s of integrations including Soundcloud, Youtube, Songkick and more. 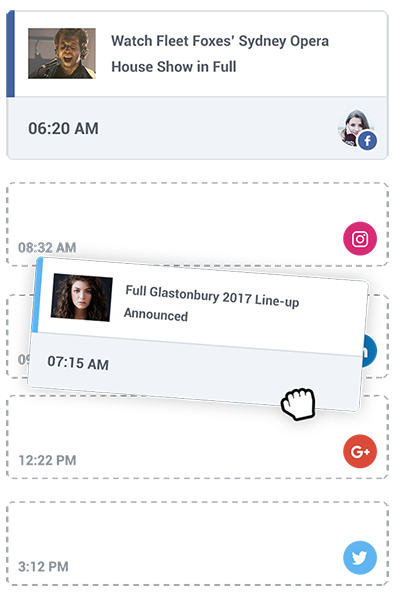 Once your apps are connected Audio Tribe you will have access to your content ready to schedule. Tailor your message for your audiences. Different social networks cater for different people, so why wouldn’t you tailor your message to suit each? 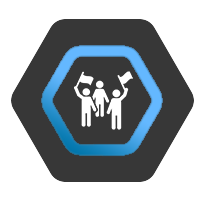 Post natively to each social network to achieve the highest engagement rates possible. We help build your content schedule, so you are posting and the right times, to the right networks. You will always be posting at the optimal time thanks to our intelligent schedule, ensuring your fans are seeing your content as much as possible. We help with the frequency of your posts to each social network, ensuring that you don’t overwhelm your followers with updates. Although we recommend the best times and networks to post to, we know that you will want to have some say too. Our smart schedule is easily customisable. 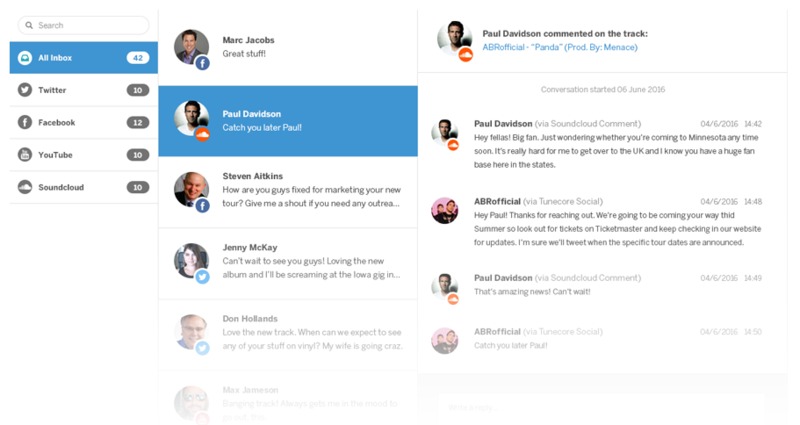 Monitor engagements on your content and speak to your fans directly. With our universal inbox you will be able to monitor each piece of content you have posted out, and the engagements on those posts. Check in to see what your fans think of your latest track or upcoming gig. Fans always have questions, we’ve made it so much easier to speak directly to your fanbase with our Universal Inbox. Be in touch with your fans and boost social engagement on your accounts. Add a call-to-action banner to every link that you share to your fans and drive massive traffic back to your music. Your ‘Ad’ appears as a banner at the top of any article that you’ve shared from AudioTribe. The banner contains your custom message that you can set within your feeds manager so you can promote a new release, tour, capture emails or exclusive downloads for a follow. AudioTribe integrates with all the tools you use now; iTunes, Spotify, Soundcloud, Bandcamp, Teespring, LiveNation and 100’s more. Just paste the URL of what you want to promote and AudioTribe will do the rest. Delivering you more potential fans and sales right at your doorstep. Grow your fans on social media organically with relevant followers who you can build real engagement with. 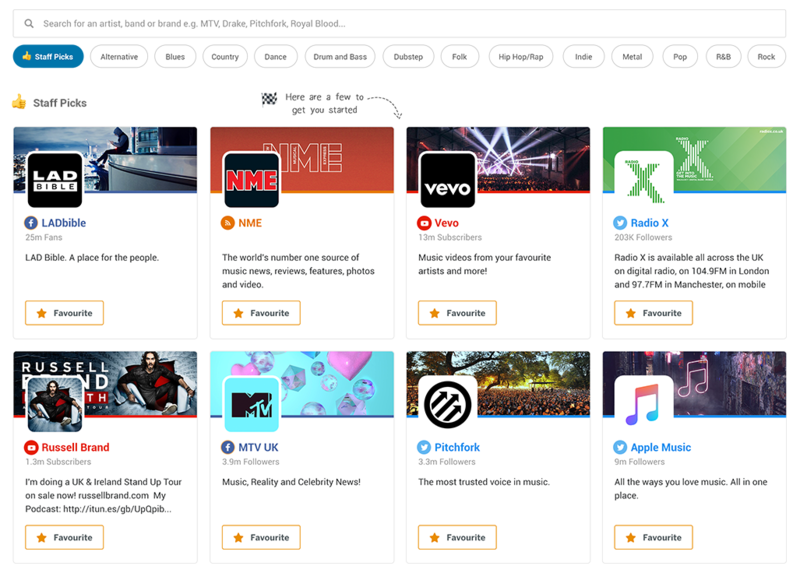 AudioTribe makes it simple for you to grow natural, relevant fans with its following and unfollowing suggestions. AudioTribe will recommend potential fans to follow based on fans of similar artists, all sorted by their own unique quality score. 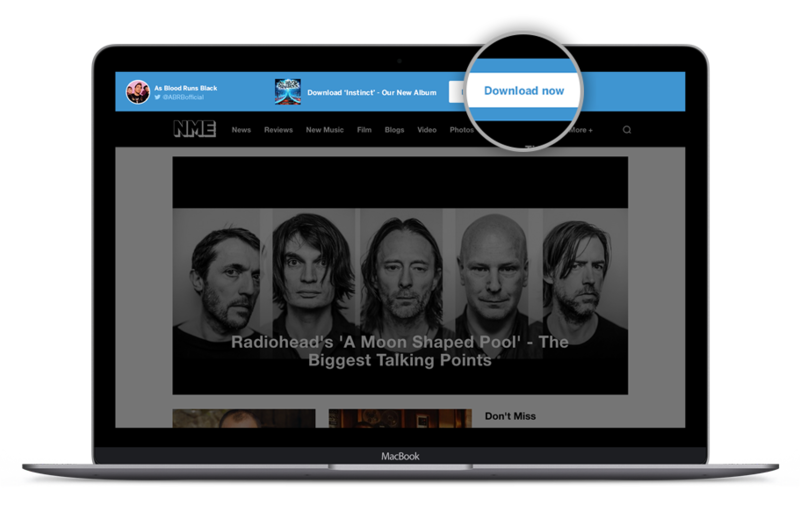 Reach new fans has never been easier thank to Audio Tribe. Find the fans of other musicians who are similar to yourself and follow the ones you believe would be interested in hearing your music. AudioTribe has also teamed up with DemoBox so you can measure the progress of your plays, fans, downloads & sales with powerful analytics that lets you know about actions and engagements across your social accounts. 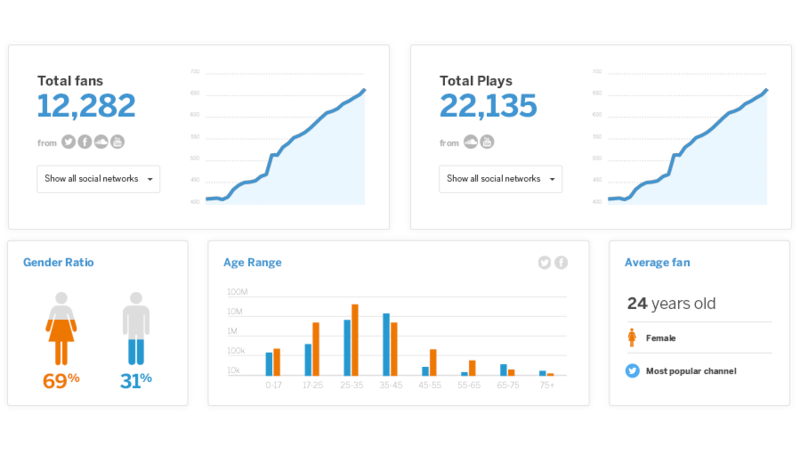 We simplify analytics so that you can focus on what’s important for your music. You have a complete overview of who your fans are, where they are from and what tracks are the most popular. You can even add in your streaming data. AudioTribe’s built-in daily goals lets you know any tasks that you need to take care of to ensure you get the best growth on your account. In just a few clicks, you’ll be being to see what channels are working for you. We know running a label or managing a group of artists is hard and full on. That’s why we partnered with Swift Social to save you time and create powerful Social Media campaigns for all of your roster. 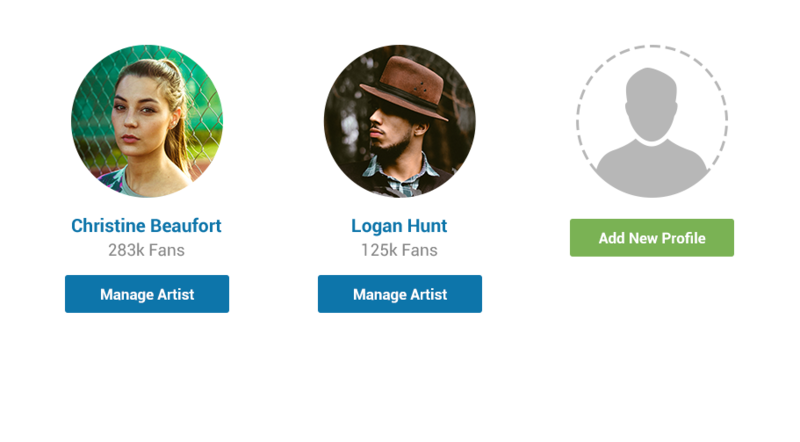 Manage multiple artists accounts from one place at the click of a button. Managing these artists couldn’t be easier, just switch artist whenever you need, never interrupting your workflow. 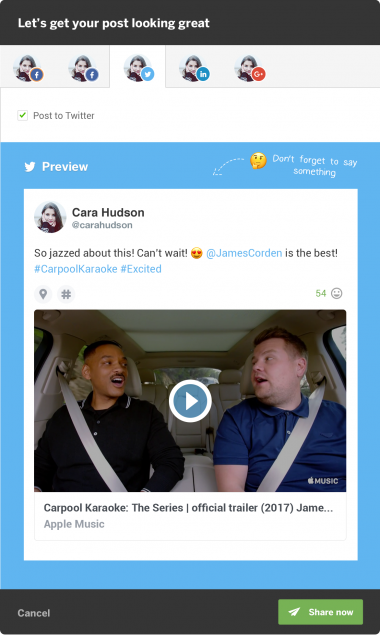 By automating your curated social posts, you don’t have to worry about curating content or even scheduling. All of your artists posts are completely taken care of. There are no contracts with AudioTribe. We are confident that our users will use the tool willingly after seeing the kind of results it can bring them. However if you did ever wish to cancel it’s as simple as letting one of our team know through the built-in chat. DO I GET SUPPORT WHILE USING AUDIOTRIBE? Yes. We use intercom to create a direct line of communication between our users and the team. Any questions and feedback are always encouraged and we will aim to be in touch within minutes. HOW MANY ACCOUNTS CAN I MANAGE? As many as you like! We have some agency users with upward of 20 accounts and counting, all nicely integrated into your admin account allowing easy switching bettwen them. It all depends on what package you require. WILL YOU ADD MY FEATURE REQUEST? Yes. Our team is small and nimble. 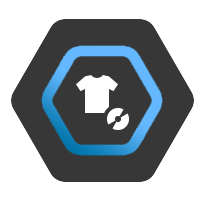 So if a feature has been requested enough times by our customers, we will prioritise development on those features. Customer feedback is of the utmost importance to us and we want to build a tool that serves the needs of the community not just ourselves. If you utilise all of the features of the tool you will see growth. The speed of the growth is dependant on how much you use the tool, we would recommend using the tool daily for best results. DOES AUDIOTRIBE SUPPORT ALL SOCIAL NETWORKS? Not yet… We have plans to integrate all social networks within then next 6 months. Supporting Facebook accounts, Facebook Business Accounts, Instagram, Google Plus, Tumblr & more.